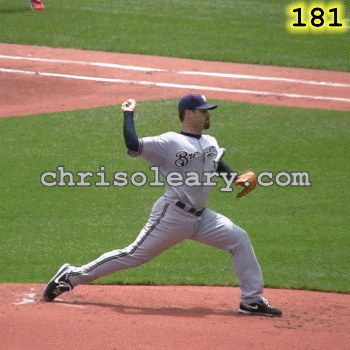 One reason why the myths about throwing and pitching persist is due to a lack of understanding; by people's not understanding what pitchers' arms actually do when they throw a pitch. 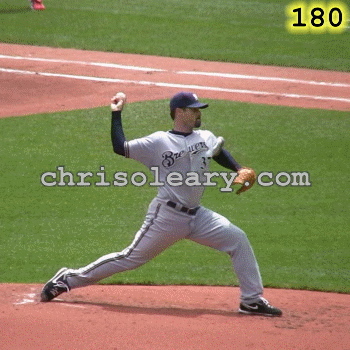 As a result, I have put this piece together to explain what a high-level thrower's arm (actually) does when they throw the ball. While Jeff Suppan does scap load, like Nolan Ryan, Greg Maddux, Randy Johnson, and other durable pitchers, his elbows never get higher than the level of his shoulders. 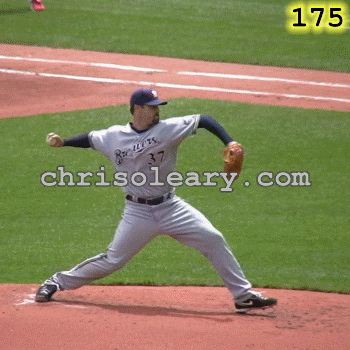 His scap load also doesn't cause his pitching arm to stall on its way up to the high-cocked position and it doesn't affect his timing. Instead, his arm swing is smooth and his arm gets up on time. 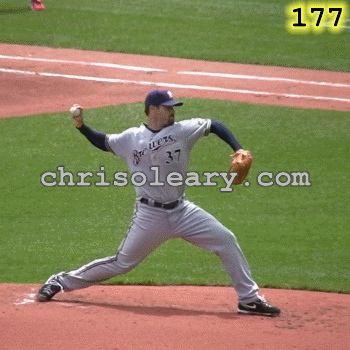 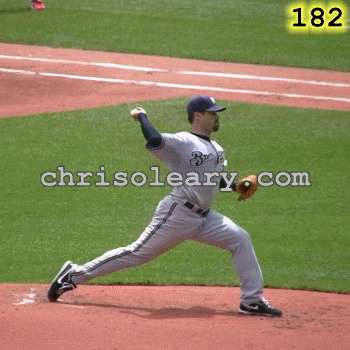 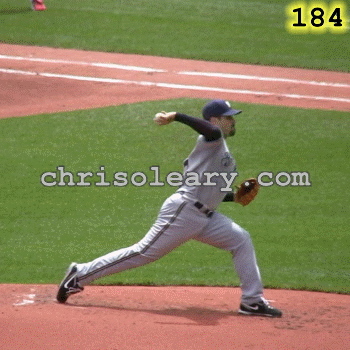 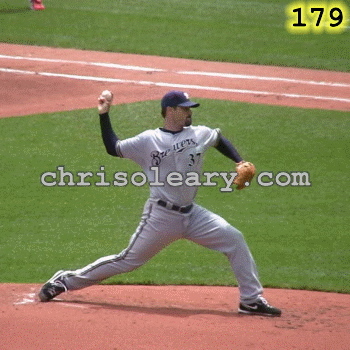 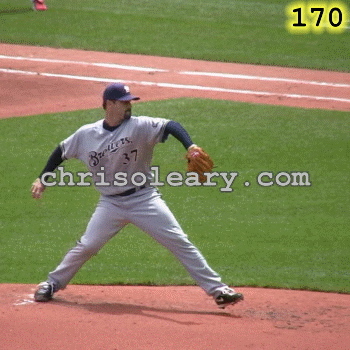 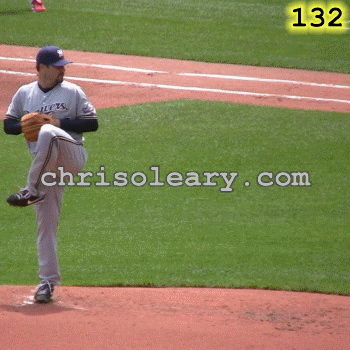 In Frame 179, Jeff Suppan’s Glove Side foot has just planted and his shoulders are just starting to rotate. 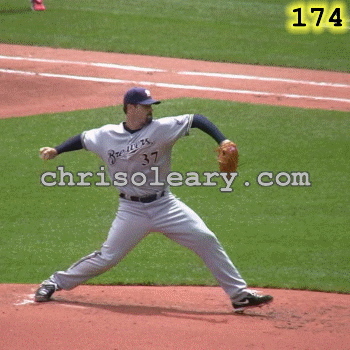 Notice how his Pitching Arm Side elbow is just below the level of his shoulders and how he is showing the ball to Third Base, not Center Field. 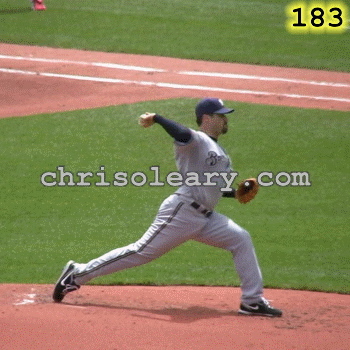 The rotation of Jeff Suppan's shoulders has caused his Pitching Arm Side upper arm to start externally rotating and his PAS forearm to start laying back toward First Base. 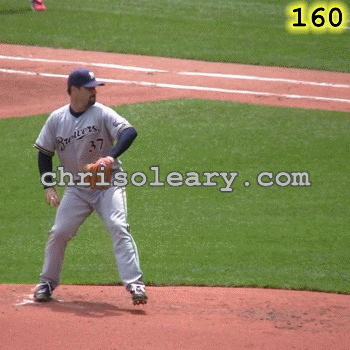 Because the topic of arm action is both important and frequently misunderstood, let's take a closer look at what Jeff Suppan's arm (actually) does when he throws the ball. 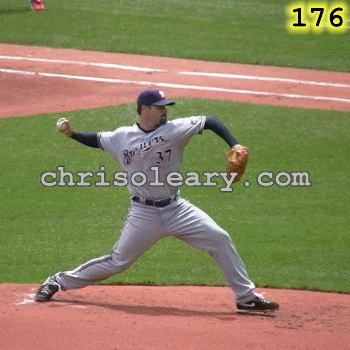 The most important thing to notice is that, while Jeff Suppan's pitching arm side elbow stays bent roughly 90 degrees up until a couple of frames before the release point, his throwing arm doesn't stay vertical as his shoulders rotate. 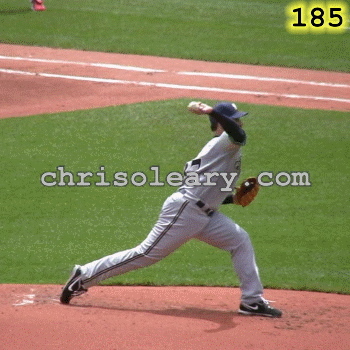 If the arm doesn't do what the proponents of showing the ball to center field say it does, then their absolutes aren't. 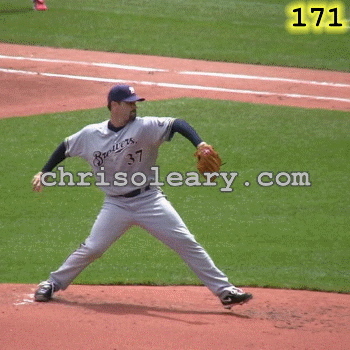 There are other problems, going up to the highest levels with peoples' understanding of the throwing and pitching motion. I discuss these problems in my piece that lays out a Revised Baseball Pitching Cycle. 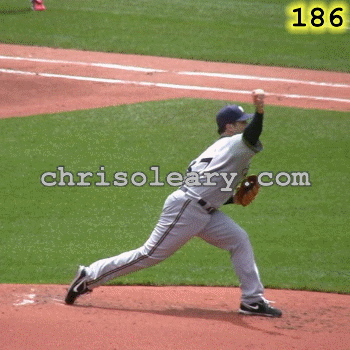 FB. 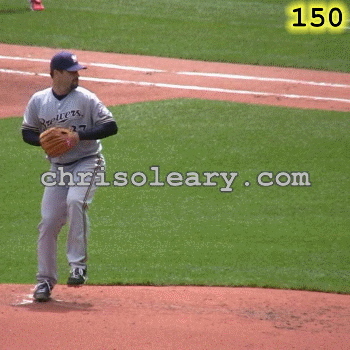 The arms of football quarterbacks do the same thing, which means that the "tuck rule" that is used to determine whether a quarterback is in the act of throwing the ball isn't correct. 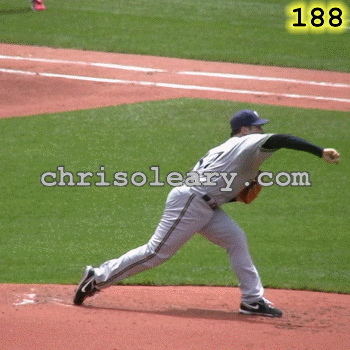 The throw starts when the throwing arm side elbow starts to rotate around toward the target, not when the hand starts to move forward.